Cassandra Bloore's expertise in luxury and upscale real estate benefits buyers and sellers who demand the utmost in service, knowledge and integrity. Based in Brentwood, Cassandra works throughout the Westside, representing and locating exceptional properties from Malibu to the coastal communities of the South Bay. An agent since 1996, Cassandra's love of architecture and residential design drew her to the real estate profession. Her talent for truly listening to client needs and her deep understanding of the business has made her a highly effective agent. "I enjoy the excitement of making a deal come together and truly satisfying my clients. Their happiness is my ultimate goal," she says. Cassandra is easygoing and soft spoken, but an excellent negotiator and a fierce advocate for her clients. She understands the many components of a successful transaction and is well respected for her honesty and attention to detail, which has earned her much repeat and referral business. 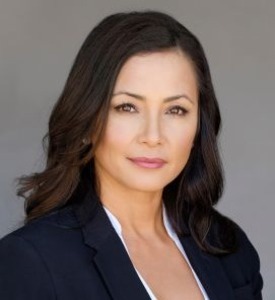 Cassandra is active in the community and has a wide network through the local schools and in the medical field through her husband's practice in Beverly Hills. A Santa Monica resident, Cassandra and her husband have two children.